Seven piece alt-rockers Violet are very excited to announce that Jordan Samuel has joined the band on vocals, replacing Jonny Nelson who left the band in July. Jordan brings a fresh sound with a soulful feel to the mix and they are all very excited about how the new material is taking shape. Check out Jordan in the new single teaser here! Violet’s diverse sound stems from initial influences like Emarosa, Dance Gavin Dance and Pierce The Veil, but over time a wide range of musical styles have become a source of inspiration, ranging from movie soundtracks to RnB. With Jordan on board, the diversity will only get wider creating something truly unique. 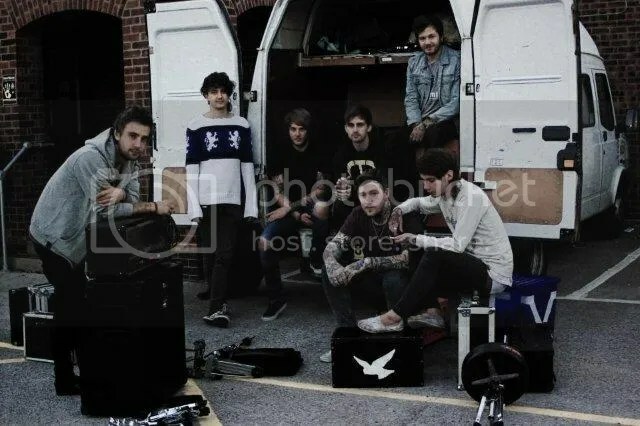 Violet released their debut EP The Brightside on Small Town Records earlier this year to great acclaim and have been touring the UK constantly with the likes of The Elijah, Lights out Dresden, Attention Thieves, As Cities Burn and Stars Of The Search Party, as well as appearing at Hit The Deck festival. The band hit the road with Anavae from today and will appear at Butserfest on Saturday 14 September. This entry was posted on 7th September 2012 at 11:28 am and is filed under News with tags Butserfest, Emarosa, Frank Ocean, Gavin Dance, Jordan, Michael Jackson, Pierce The Veil, Robin Thicke. You can follow any responses to this entry through the RSS 2.0 feed. You can leave a response, or trackback from your own site.